Still in a colorful, funky mood. 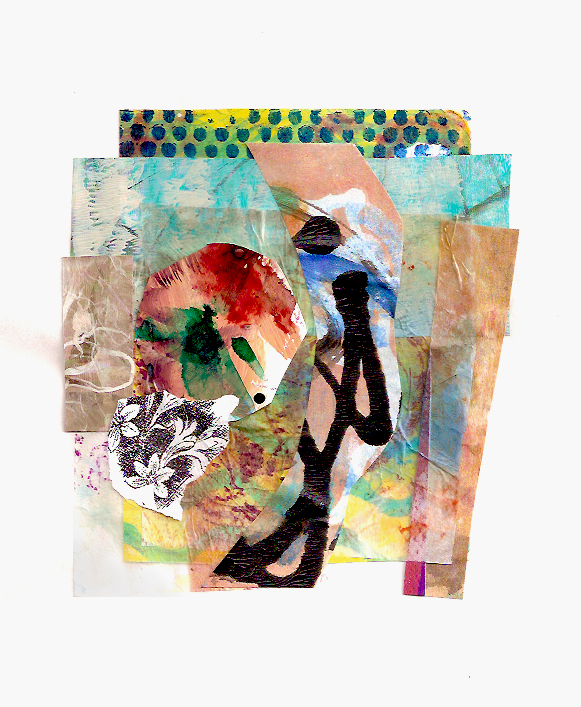 This is one of my “kitchen sink” collages using fragments of everything under the sun — found papers, hand painted papers, monotypes, and painted magazine pages. 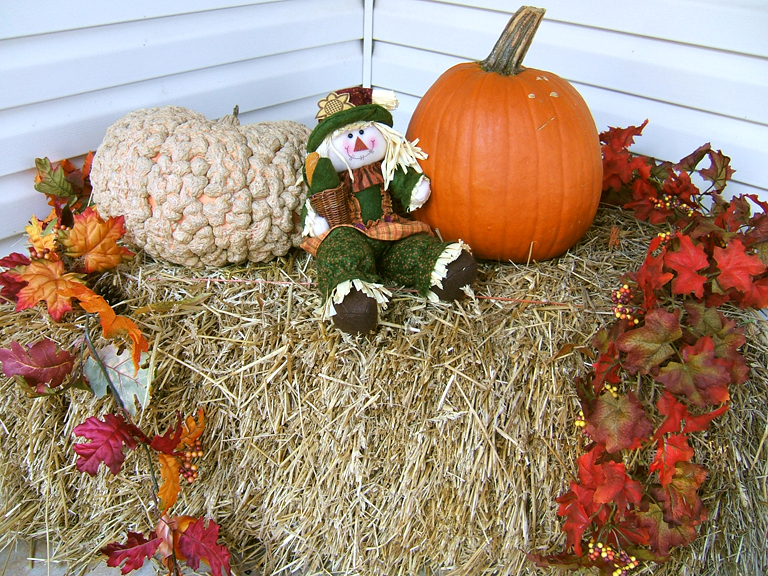 And speaking of color, here is my front porch, saying Happy Fall to you! We had more than our share of princesses, zombies, ninjas, werewolves, witches, and goblins last night. We ran out of candy, even though we had bought what we thought would be plenty, and had to turn out the lights. Hope yours was safe and enjoyable. I’ve missed you too, Myfanwy. I hope all is well with you and that you’re happily creating. Big hugs.